Choose from a selection of 30 holiday rentals in Königerode. Use the search form to the left to filter the results and pick your choice of self catering accommodation in Königerode. We have a good selection of holiday apartments in Königerode perfect for family, single, romantic and group holidays. You may prefer to take a look at our listed holiday villas in Königerode or holiday apartments in Königerode. Find your holiday homes by a specific type using the property type drop down in the filter. Filter the holiday homes in Königerode by a specific area using the area list above. This holiday home made of wood was built in 1643 and is located on an erstwhile, large farmhouse of the landlord. This home is located in a part of a village. 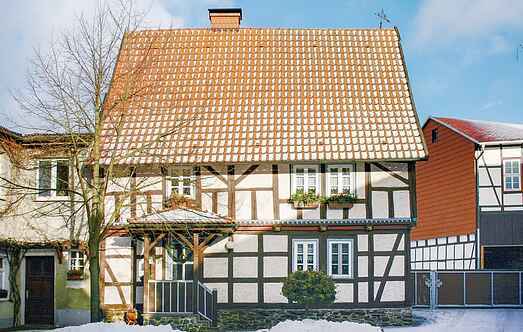 This comfortably furnished holiday home built in local style is located in Schielo in Harzgerode. Various games and sports equipment are available. The second bedroom is a connecting room. Here you live history and lives but in a large, luxurious vacation home. This homely and fashionably furnished apartment is on a partially closed property in the centre of Harz. Here you live history and lives equally in a spacious apartment. In ancient times, it was the school building of the church village Radisleben today Ballenstedt am Harz. This comfortable holiday apartment in Harz has a private entrance. Table tennis, gym and a small bowling alley are available. There is a play area in front of the house. This comfortably furnished holiday home on a sunny, fully fenced property on the outskirts of Dankerode is located on a side street. This fascinating home is located on the southern slopes. Enjoy a gorgeous and unobstructed view of nature or relax in the sauna that is accessible from outside. 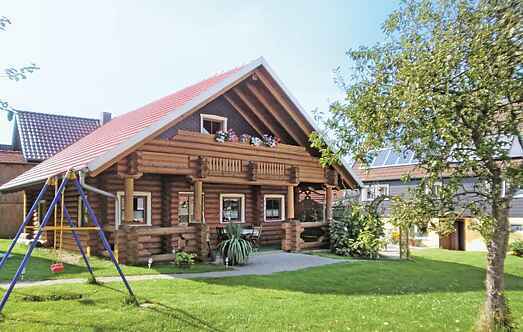 This small holiday home in bungalow style provides a panoramic view of the green plateau of Harzgerode.